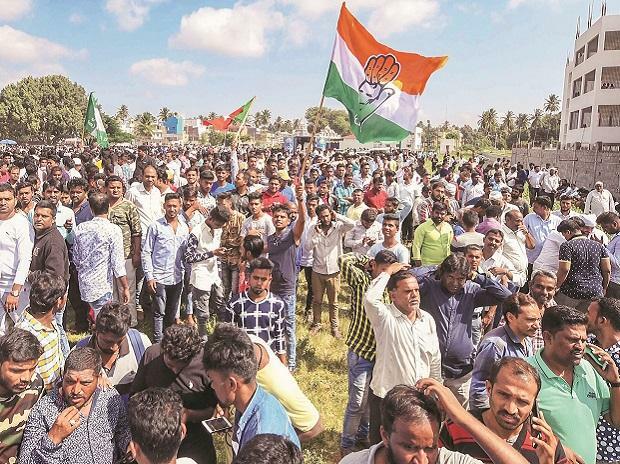 The Congress Sunday said the BJP was "unsuccessfully" trying to build a laboratory in West Bengal for its experiments, on a day the Bengal government denied permission to UP Chief Minister Yogi Adityanath to land his chopper in the eastern state. "What would have happened had he (UP CM) gone? He had also gone to Rajasthan, Chhattisgarh and Madhya Pradesh. What did he do? He revealed the caste of Hanuman and you know the results," Congress spokesperson Pawan Khera said at a news conference here. "People voted for the party it wanted. They (BJP) want to make West Bengal a laboratory for its experiments and they are not achieving any success in it," he said. The tussle between the TMC and BJP got uglier Sunday, with the West Bengal government denying permission to Adityanath's chopper to land in the state and let him address two scheduled rallies. Adityanath had to address the rallies via telephone. He later lashed out at the "anti-people" Trinamool Congress (TMC) government in the state, saying the days of Chief Minister Mamata Banerjee's rule were "numbered". P Chidambaram in the INX media case, Khera said people have lost faith in investigating agencies under the BJP government. "They said they will bring 'badlav' (change), but they are now taking 'badla' (revenge). People do not trust their intentions. They arrest people and pressurise them to name (the ruling party's) political opponents. Who trusts the CBI and Enforcement Directorate?" he said.